Custom ABS plastic molding and machining services from the premier of Ohio plastic manufacturing companies, Jaco Products. ABS (acrylonitrile butadiene styrene) is often selected for its outstanding mechanical properties including toughness and impact resistance. A versatile thermoplastic, ABS has excellent dimensional stability and resistance to scratching. 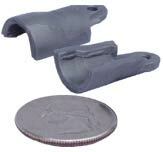 ABS is easily injection molded and machined and often selected because of cost savings over more exotic resins. Molded ABS plastic can be colored to match specific Pantones giving the plastic product designer array of colors to choose from. Metal coatings adhere well to ABS providing even more design and finishing options since it’s easily painted or plated. The most popular colors of ABS include; bright white, black, flame red, fern green, soft gray, marigold, graphite and coconut. ABS can be recycled at certain recycling facilities. ABS can be found in many types of products from consumer products such as golf club heads and protective carrying cases to computer covers. Industrial applications for ABS molded and machined parts span across all industries from automotive interiors to medical, marine and appliance manufacturing. We are experts in injection molding complex materials including standard and glass-filled ABS. We are able to mold ABS plastic with glass fibers and additives to increase the strength of the part and operating temperatures as high as 176°f. Machined ABS can create high tolerance complex parts that can be produced only with 5-axis machining. 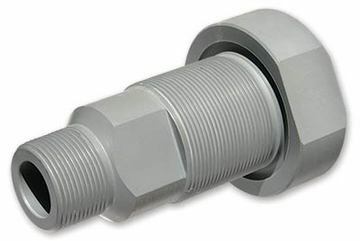 Internal threads, ports, holes and complex shapes that would require multi-slide injection molds, can quickly and easily be machined in either small prototype quantities or large, lights-out production manufacturing. When high-tolerance, complex ABS parts are required. Our technical staff will use both processes, ABS molding and 5-axis CNC machining. 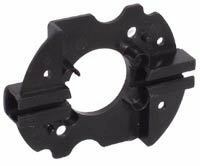 We first injection mold a net near shape ABS part, then machine the part to the required tolerance, milling ports, threads and undercuts that the part requires. Many times, engineers have brought an ABS part to us that other injection molders have declined to quote. Using multiple processes, we are able to successfully fabricate the part. We can machine short-run prototypes for testing and fit/function analysis prior to investment in ABS injection molds. We offer a full range of ABS machining services including: milling, drilling, sawing, turning, shearing, threading, stamping and die-cutting. Jaco Products provides a full range of ABS fabrication and finishing services from welding, pad printing, stamping and engraving to assembly and kitting. We will coordinate outside services such as metal plating. All parts are manufactured and inspected to our stringent ISO 9001:2008 quality standards. Our experienced technical staff is available to help you design the perfect ABS plastic part for your application. Our depth of knowledge of materials, molding and machining is unparalleled and we can help develop innovative multi-process solutions for your part design challenges. If you can envision it, we can make it. Contact our technical staff today to discuss your part design.